Interested in a relaxed experience in the Badger-Two Medicine? 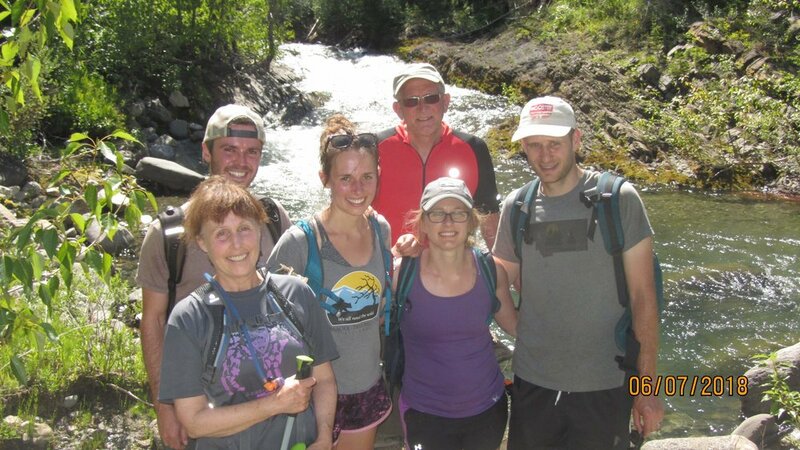 Seven of us had just that in the Two-Medicine River drainage. Frank Vitale and Roy Jacobs packed John his families supplies in and left them at the intersection of Trail 101 and the Elk Calf Trail near the Woods Creek trail head. It was an eight mile hike with about a dozen shallow river fords to get to the camp. There is a mosaic of burns throughout the trip, but the camp was in a clearing of lodgepole pine. Fishing is not the blue ribbon fishery we experience in much of Montana, but there were fish to be caught. It’s another four miles from the camp to Badger Cabin and another couple to the forks of the Badger, but there is some good hiking in the area. Though recent fires had a major impact on the area it did not destroy the country or the feel of wilderness. 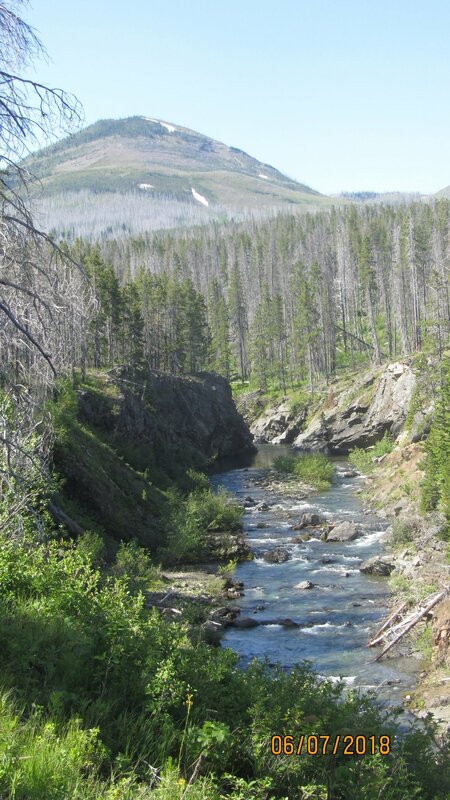 Another possibility for a trip would be to pack in from Swift Dam. Frank guaranteed us perfect weather and he came through! He was easy to work with and accommodate our needs. His seven mules were more than able to carry in our basic supplies plus a few folding chairs and table. 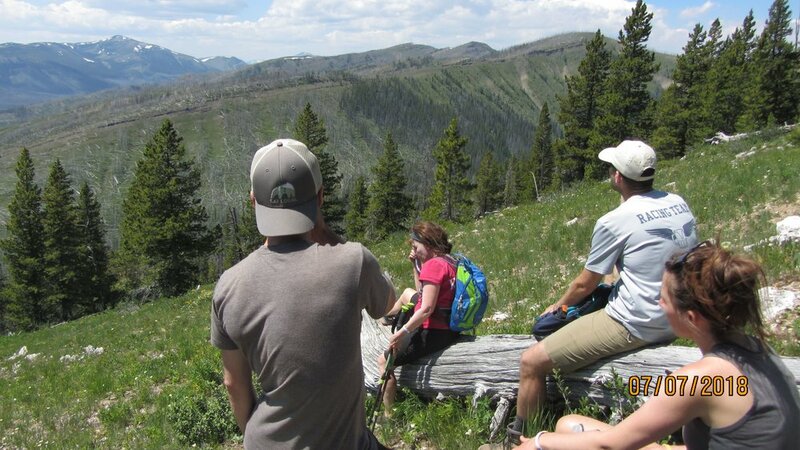 I would recommend the trip to anyone who desires a leisurely trip in the backcountry from an experienced packer. 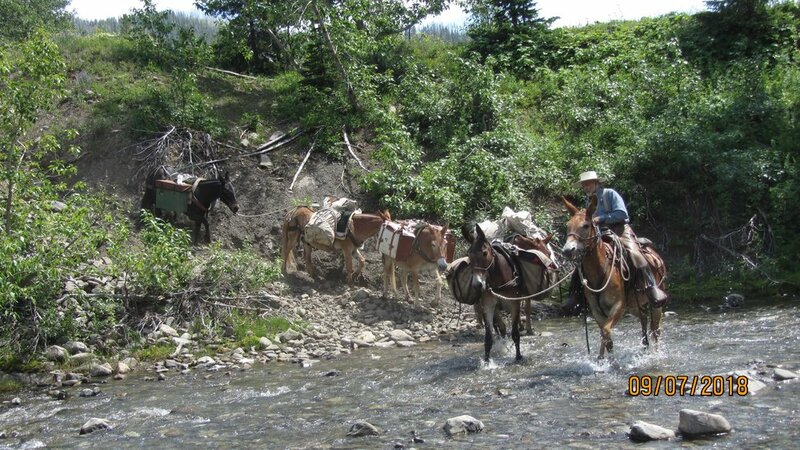 If you’ve never had the opportunity for a pack trip just seeing his mules in action is worth the trip! Don’t try to keep up with his pack train they’ll leave you in their dust. We spent four days in the area, but five would have been fantastic. Frank is willing to go up to five days for this auction bid. The maximum number he allows for the trip is eight people. Enjoy the amazing Badger-Two Medicine and support the area at the same time by taking the winning bid! You won’t be disappointed.